Controlling Inventory. Our account manager checks inventory and maintains proper amounts needed for production and plans deliveries accordingly. Oil Analysis. We work with plant personnel to determine appropriate testing needs. Control of Waste Oils. Bellman Oil works at minimizing the amount of waste oils generated and also tests wastes so that they can be disposed of properly in conjunction with a licensed waste hauler. Right Product Right Application. Bellman Oil works with plant personnel to determine the right fluids to meet the exact specifications needed thru "custom blending" of products. Cleaners. Bellman Oil offers a complete line of industrial cleaners that will meet all applicants through out your plant. Let our fluid management program help your bottom line by reducing fluids on hand, reduce EPA impact, and get the right product for the right application. Our company working for you. Helping your bottom line. Let Bellman Oil provide you with a history of your lubricant's condition, thru fluid analysis. Set up a baseline for your equipment and get a snap shot of the inside of your equipment without teardowns or costly lubricant changes. Fluid analysis reduces maintenance costs and offers the knowledge that your equipment is properly lubricated, not wearing out prematurely. Easy to set up and maintain, fluid analysis has become an efficient and economical means of reducing expensive downtime and controlling maintenance costs. Bellman Oil offers a complete solution to help you minimize and remove waste lubricants. Let Bellman Oil design custom solution for collecting and recycling your used oils. Whether your used oils are automotive or industrial, Bellman Oil can help you get on the right track to be in compliance and safe guard the environment. Let Bellman Oil custom blend a product for your specific application. We offer custom blended products, lab testing, product analysis and certification. Specializing coolants and cutting oil: with semi-synthetic, synthetic or traditional basic oils. We can solve the problems your current fluid can't handle. Let our account managers get you the right product for the right application. With quick turn around times and delivery, we can cover all your needs. Purchase lubes and fuel products from one source, simplifying purchases and billing. Access to all product lines Bellman carries whether lubes or fuels; you get to take advantage of Bellman's extensive experience, size, and contracts with our suppliers allowing you to save on your purchasing cost and expanding your bottom line. Up-to-date information on new products and services allowing you to be "in place" and ready to offer this to your customers before the competition. At Bellman Oil, we are committed to partnering with marketers to provide the best service possible while devoting our personal knowledge and expertise. Let us help you stand apart from the rest. Bellman Oil offers automatic or keep full service to all our customers. Take the worry out of having to check your tanks to make sure you have product. We can automatically fill your tank every time it reaches a certain level specified by you or we can fill it on a curtain date week after week or month after month. We offer this service for fuels as well as lubes. 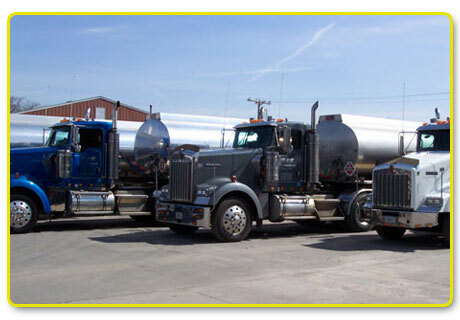 Bellman Oil's transportation company, B & B Transport is a common carrier trucking company that hauls petroleum liquids in petroleum trailers and van trailers. Call us today for a current quote. The Smart move! Partner with Bellman Oil to brand your service station/c-store. We offer the BP and Citgo brand as well as private branding. You can rely on our expertise and over 40 years of marketing in convenience stores and service stations as you decide the most profitable course of action for your business.